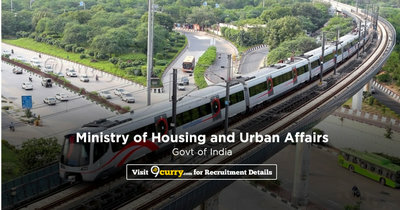 MOHUA Recruitment 2019: Ministry of Housing and Urban Affairs / mohua.gov.in is conducting recruitment processes to fill 1 vacancy. As of now, there is one recruitment drive going on for OSD (Urban Transport) Post. MOHUA Recruitment 2019 - Job notification for 35 Sr. PPS/ PPS/ PS (CSSS) Posts in MOHUA, New Delhi. Applications are invited by Ministry of Housing and Urban Affairs on or before 08 Mar 2019 for 35 vacancies. MOHUA Recruitment 2019 - Job notification for Deputy Controller of Stationery (Inspection) Post in MOHUA, West Bengal on Deputation Basis. Applications are invited by Ministry of Housing and Urban Affairs within 30 days from the date of publishing of Vacancy Notice in the Employment News/ Rozgar Samachar for 1 vacancy. MOHUA Recruitment 2018 - Job notification for Assistant Director of Estates Post in MOHUA, Delhi on Deputation Basis. Applications are invited by Ministry of Housing and Urban Affairs on or before 06 Feb 2019 for 1 vacancy.